Note: only 280 seats available for keynote sessions....first 280 to register get them! Dr. Colin Ware, author of the book Information Visualization: Perception for Design, takes the "visual" in visualization very seriously. As a Professor in the Computer Science Department and Director of the Data Visualization Research Laboratory at the University of New Hampshire, Dr. Ware's career combines a long-standing interest in the intersection of computer science with the psychology of perception. In addition to his book, Dr. Ware has published more than 90 articles in scientific and technical journals and at leading conferences relating to the use of color, texture, motion, and 3-D displays in information visualization. His approach is always to combine theory with practice, and his publications range from rigorously scientific contributions in the Journal of Physiology and Vision Research to applications-oriented articles in ACM SIGCHI, Transactions on Graphics, and IEEE Transactions on Systems, Man and Cybernetics. In addition to writing and directing research, Dr. Ware also likes to build useful visualization systems. He has been developing 3-D interactive visualization systems for about 12 years. He directed the development of the NestedVision3D system for visualizing very large networks of information, and has been instrumental in the creation of two spin-off visualization companies: Interactive Visualization Systems Inc., makers of visualization software for advanced Ocean mapping applications; and NVision Software Systems Inc., providers of visualization tools to enhance the understanding of large highly interconnected data sets. Dr. Ware has advanced degrees in both computer science (MMath, Waterloo) and in the psychology of perception (PhD,Toronto). Dr. Deborah J. Mayhew is an internationally recognized author, teacher, speaker, and consultant on software user interface design and usability engineering. 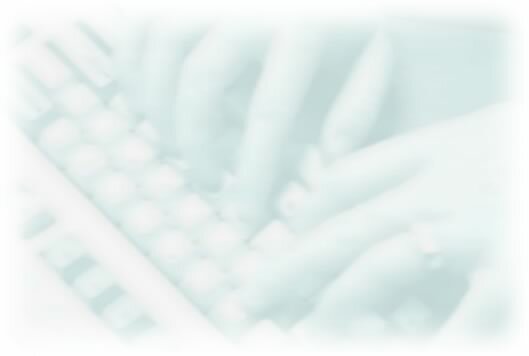 With over 20 years in the field of usability engineering, Dr. Mayhew has consulted with large corporations around the globe on the design of computing products from mainframe computers to software GUIs. A pioneer in computer usability, Dr. Mayhew taught some of the earliest university courses in the nation on user interface design and usability engineering. 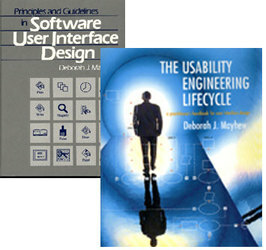 Dr. Mayhew has authored several published books including The Usability Engineering Lifecycle, Cost-Justifying Usability, and Principles and Guidelines in Software User-Interface Design. 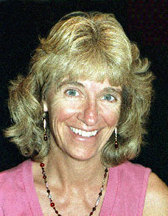 Dr. Mayhew holds a Ph.D. in Cognitive Psychology from Tufts University. In her keynote address Dr. Mayhew will present an interactive and entertaining crash course in human cognition, aimed at introducing documentation and training professionals to the underlying, general, media-independent principles of human information processing. Note: Dr. Mayhew will offer a 2-day post-conference course April 11-12 titled Principles and Guidelines for Software User Interface Design of GUI and Web Applications. 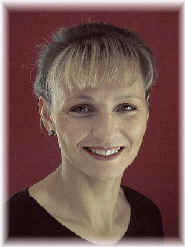 Dr. Margaret Driscoll is the author of the book Web-Based Training from Jossey-Bass. She is also the Director of Strategic Ventures on the Lotus/IBM MindSpan Team. Prior to joining Lotus/IBM, she was the Director of the Instructional Design Program at the University of Massachusetts Boston. She is also a featured speaker at national training events. Her work has appeared in the Journal of Performance Improvement and Training and Development Magazine, as well as many others. Her monthly online design column is published in Inside Technology Training magazine. 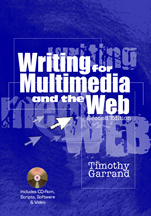 Dr. Timothy Garrand is the author of the book and CD-ROM Writing for Multimedia and the World Wide Web (www.interwrite.com/book). He specializes in writing and architecture for interactive media, and has written for print, film, video, multimedia, and the Web. He is a frequent lecturer on writing for multimedia at both professional gatherings and academic settings. He is a senior Interactive Architect at Immersant in Cambridge, Massachusetts, and holds a Ph.D. in Communications from the University of Southern California. Dr. David Locke is Certified by eHelp as a RoboHELP trainer, and has worked in the communications field for over 15 years as a writer, manager, and teacher, specializing in online information delivery systems. David's online projects have included reference systems and embedded help systems for a variety of cross-industry customers, including Coopers & Lybrand, Hewlett-Packard, Lucent Technologies, MetLife, Symantic, US Robotics/3COM, World Bank/IMF, and many others. David is a regular presenter at national and international documentation and help technology conferences. Joel Sklar is a course developer and technical trainer specializing in HTML, XML, and web technologies. He has taught HTML and web design to hundreds of technical professionals in the Boston area and is the author of Principles of Web Design, published by Course Technology. Joel also teaches graduate-level instructional design and web technology courses at Northeastern University. Bernard Aschwanden is an Adobe Certified Expert with a solid background in technical documentation. Over the past 15 years Bernard has helped hundreds of companies implement documentation solutions, and has delivered Adobe products training to literally thousands of satisfied participants. He regularly presents to the FrameMaker Users Network, the Society for Technical Communications, and has presented on behalf of major software manufacturers across the United States and Canada. James Currie is President of Currie and Associates, a laboratory automation and consulting business based out of Bedford, NH. James comes from a scientific background, but has fully embraced the technical side of the internet. In addition to his consulting practice, James teaches courses on internet technologies and Java at New Hampshire College. An experienced writer and teacher, Mike Doyle has been in the technical communications industry for 15 years, delivering information on a variety of leading-edge software technologies such as transaction and image processing. In addition, he is the senior lecturer in the Technical Communications Certificate program at the University of Massachusetts-Lowell, where he has taught for the past 15 years. Mike has over 4 years experience in developing HTML-based information, significant given the short lifespan of the commercially available Web (1993). As leader of the web development group within PUBSNET called Grant Communications , Mike has helped launch over 250 corporate sites, including Technical Communications Corporation (www.tccsecure.com), a web site featured on the CNBC TV show .COM, hosted by actor Mark Hamill of Star Wars fame. Mike is a Certified Trainer for InfoAccess HTML Transit, and teacher of courses on a variety of web development tools including Adobe PageMill, Microsoft FrontPage, and Macromedia DreamWeaver. Donna Dunn is currently responsible for business development at Adobe Systems for FrameMaker and Acrobat. She has been involved in the publishing industry for over 20 years. She has been in both technical roles as an Applications Engineer, and in sales roles as an Account Manager and Territory Account Manager at companies such as Xyvision, Agfa, and Frame Technology. Hans Fenstermacher is President and founder of ArchiText Inc., a documentation and translation company. ArchiText� provides comprehensive documentation and language services in many languages for many clients throughout the United States. Born in Germany, Hans speaks six languages fluently and holds degrees from Princeton University and the Fletcher School of Law and Diplomacy. His 20-year career in the language and documentation industries led him to create ArchiText's ABREVESM process, a unique English authoring and editing system designed to improve text quality and reduce translation costs substantially by streamlining materials before they are ever translated. Hans writes articles and speaks on this and other topics, and offers in-depth training seminars on ABREVE techniques for writers. Susan Holbert has been an indexing consultant for seventeen years. She has indexed more than one hundred books and manuals, ranging from a programming textbook to the autobiography of Rosalynn Carter. She has worked for the U.S. and Massachusetts government, as well as for numerous technology and business firms, including Sun Microsystems, Ortho Diagnostics, and American Management Association. As a long-term indexing consultant to Lotus Development Corp., she wrote the Indexing chapter of the Lotus Style Guide. Susan has created two very popular indexing seminars, Basic Indexing Skills and How to Index User Manuals and On-Line Help, in addition to helping design an indexing software program, wINDEX. She has served on the Board of Directors of the Society for Documentation Professionals and the Freelance Editorial Association. She received a BA from Wellesley College. Pamela is a Senior Consultant with The Rockley Group, and has more than 13 years experience developing various types of user material. Pamela has extensive experience designing and creating online materials including intranet, Internet, and web-based training. She has written and presented papers and workshops on a number of topics related to writing and information development, including web-based training, usability, information analysis and design, structured writing, editorial techniques, and intranet development. Pamela is a Senior Member of the Society for Technical Communication. Pamela has been with The Rockley Group since the summer of 1998. Before joining The Rockley Group, Pamela was the Communication Manager for SaskTel Mobility in Regina, Saskatchewan (Canada). Norris Learnard believes that most corporate communications suffer from the same fatal flaw: they're written using the paragraph. As one of the pioneers in the development of structured writing methodologies, Norris worked closely with Bob Horn in the early 1980s to bring the information mapping methodology to corporate communications. Now, he has rolled out his 1990s methodology that incorporates the most recent research involving how people use and retain information. Norris' method emphasizes information analysis from the reader's perspective, and presents that information in a readable, structured, user-friendly format. Steve Murphy has almost 20 years experience as a project leader, consultant, and publications training manager, and is certified by the Corporate Standard. Before starting his own training and consulting firm, Steve was Executive Director at PUBSNET, and Director of Operations for Consulting and Seminar Services for Information Mapping, Inc. before that. Steve has substantial cross-industry experience, having provided documentation and training solutions in industries from Financial Services and High Technology to Health Care and Petrochemicals. Steve has delivered a variety of papers at national STC conferences. Steve holds an M.B.A. (Rivier College, 1988). Neil Perlin, owner and principal consultant of Hyper/Word Services, entered technical writing in 1979, began creating online documentation in 1985, and is now an internationally recognized expert in Windows Help and online documentation design and development. He has been providing online documentation training for six years, and is a popular speaker at various computer user groups and STC conferences. Grant Communications is a graphics design group and sister company to PUBSNET that has made the successful transition from traditional graphics design to a full-fledged web design group. The company has engineered over 200 corporate web sites ranging from business-to-business sites to retail e-commerce sites such as Laser Science, IBIS Technology, Labsphere, Hammer Technologies, Mack Technologies, and many others (see their work at http://www.web-print-design.com/testimonials.htm). The company will be represented by their Director of Programming Rob Musgrove, Director of Art Brian Sullivan, and Vice President of Operations Peter Grant. Doris Kovic, founder of Leading Insight, brings a proven track record of international business experience to her consulting practice. She has been coaching professionals for over 10 years, focusing her company on working with individuals and teams in high technology. She is a graduate of Corporate Coach University and a member of the International Coach Federation and the American Society for Training & Development. Doris has worked successfully in large corporations and start-ups. By combining her business knowledge and coaching skills, she helps her clients gain the insight and competencies they need to be more effective. Her clients have included Compaq, IBM, Oracle, Siebel, and Sun Microsystems as well as numerous start-up operations in high tech.